Every now and again I do a craft with my kids that I really, super love. 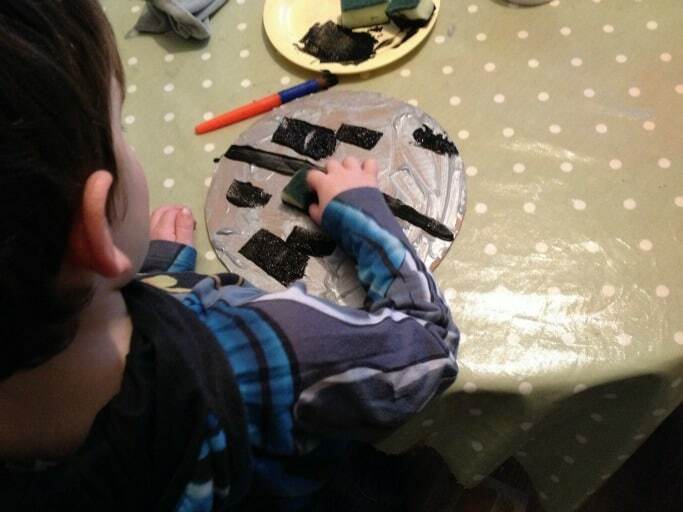 Don’t get me wrong, I love all the kids crafts and activities that we do but one or two really stand out for me as the ones that will always put a big grin on my face. Ladies and gentlemen, this is that post. Today, it’s a Death Star craft. I haven’t been doing so much crafting with my son recently, we’ve always loved doing superhero crafts and activities but he’s really been into drawing recently, but we watched Return of the Jedi at the weekend and I just knew that he would love this. Oh, and hey, I did too. Did I mention that? We took a large cardboard box and drew a circle in it using a plate to get the outline right. Of course, you could go bigger than a plate and make a huge Death Star (which would be awesome, BTW) but I was a bit concerned about my drawing skills. Cut the circle out and then paint it silver or grey depending on what paint you have. Once the paint is dry draw a black line across the middle of the circle using the black paint. Of course, we didn’t wait until the paint was completely dry but hey we are impatient here and we were also rather excited. Using your scissors cut your sponge into different sized rectangles and then use these to stamp on the Death Star and make the markings that are on the outside. 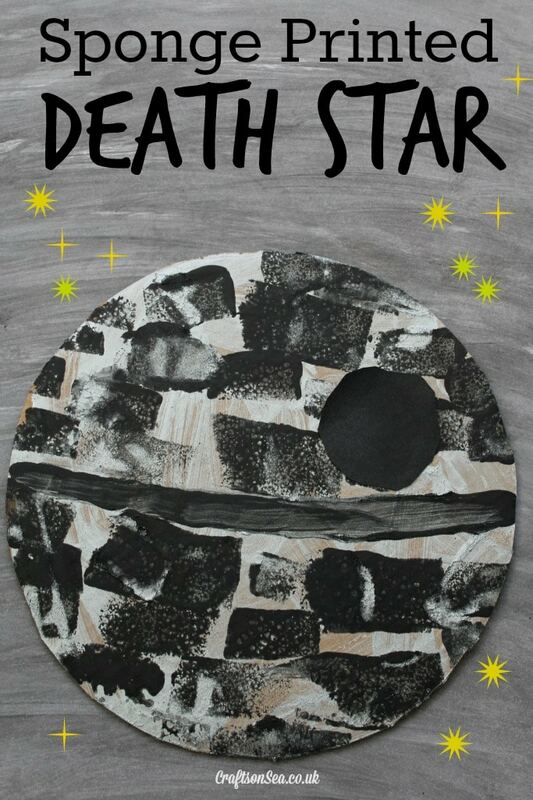 From your black card cut out a circle and then stick it onto your Death Star using glue. Humming the Stormtrooper music while you do this is optional but totally adds to the experience! 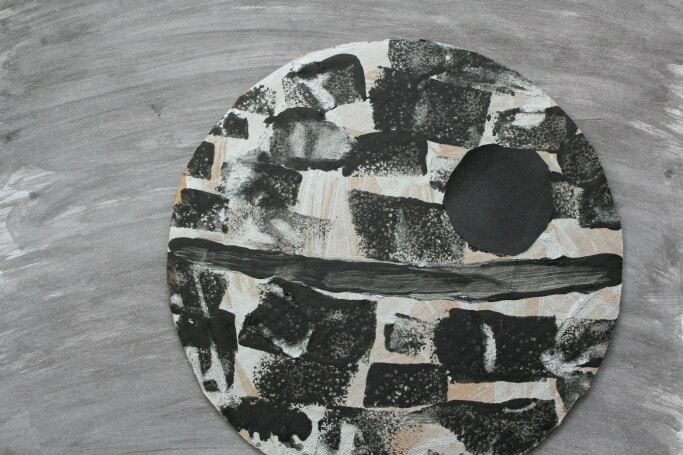 Big Star wars fans here, I’m sure my kids would love making their own death star, would make a great background for lego figures.